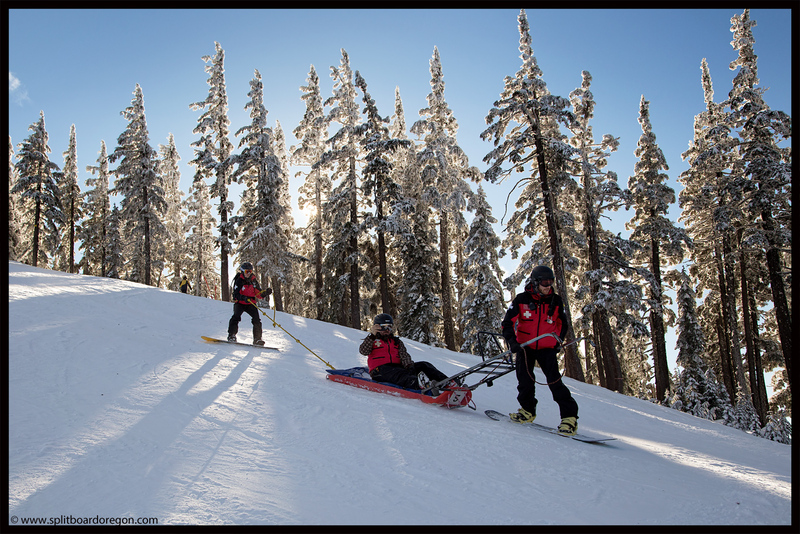 If this year’s ski season were an injured skier and I was the responding patroller, the words “barely breathing” and “unresponsive” would probably best describe the situation. 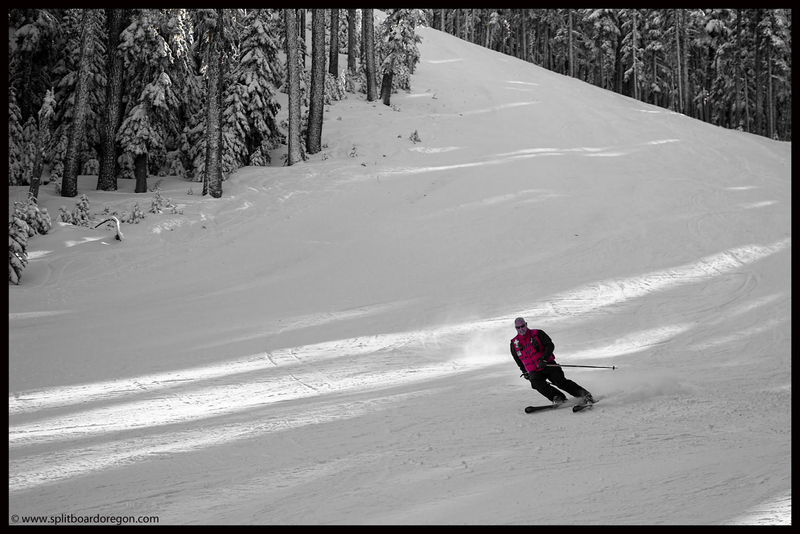 Surviving one of the worst winters in the last 40 years hasn’t been easy for the local ski areas, and Willamette Pass is no exception. 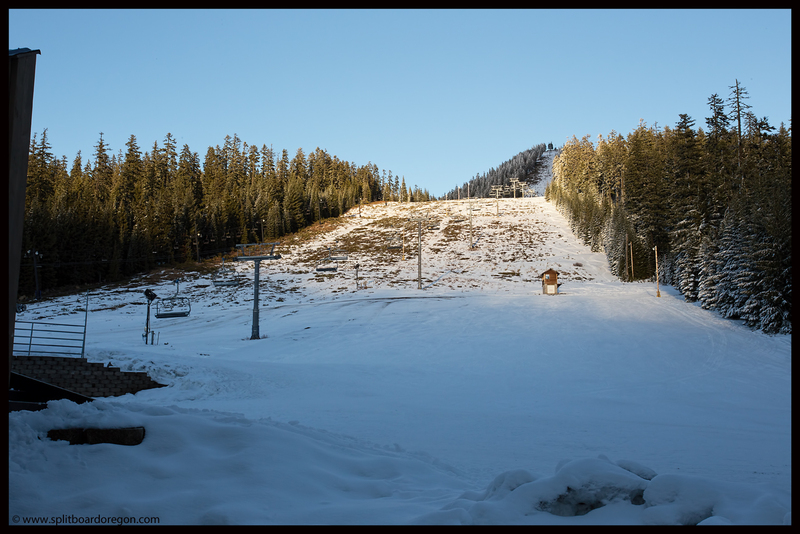 February 1st would be my second patrol day of the 2013-2014 season, and the 7th day the mountain would be in operation. The snowpack still wasn’t sufficient to open the majority of the terrain, but thanks to the north facing slopes of the mountain’s backside, we were sliding. 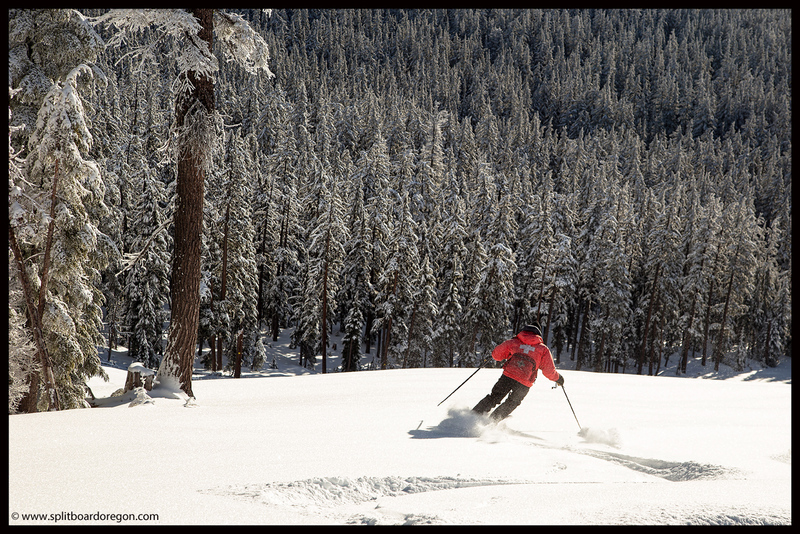 After our morning patrol meeting, we headed out and caught a lift on the EPA six-pack chair. Riding up over the mountain’s south side was a bit depressing, with numerous rocks and trees showing, along with a fair amount of dirt. In fact, I think the coverage was deeper the first weekend of November when the patrol held the on-hill refresher. Arriving at the top of EPA however, we were greeted to a different side of the mountain. 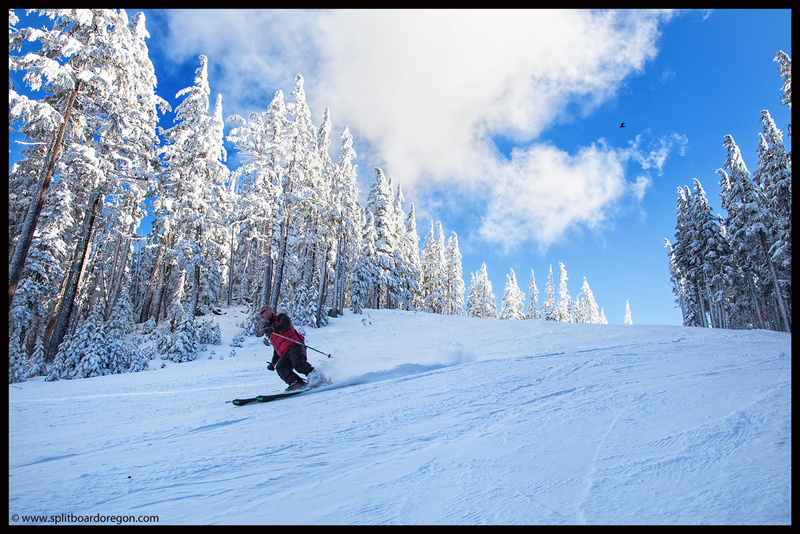 5 inches of fresh snow had fallen, and as usual the coverage was much better on the north facing slopes. Raleigh and I headed down KP (the only run open back to the front side) and marked a few spots where rocks lurked the new snow. The snow was surprisingly good, and marked the fourth time this winter I was able to find fresh snow in excess of a couple of inches – pretty pathetic really considering it was the first of February, but not bad considering how many “powder” days there’s been this year. After our first run, it looked like the Peak 2 lift was not yet spinning so we took another lap, did a little more work, and found a little more fresh snow. 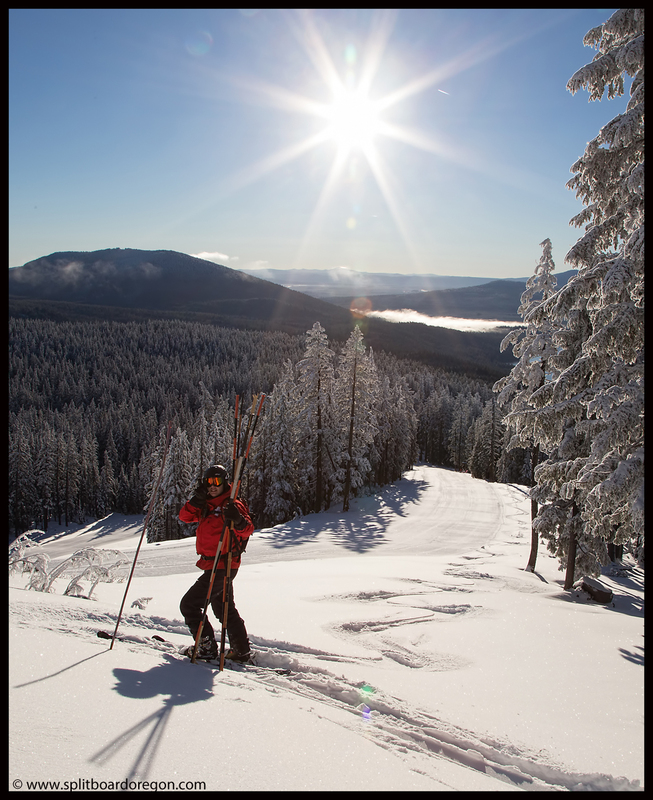 Below, Dan enjoys some freshies above the tree farm. For the next hour or so, I headed over to the backside and made several runs. 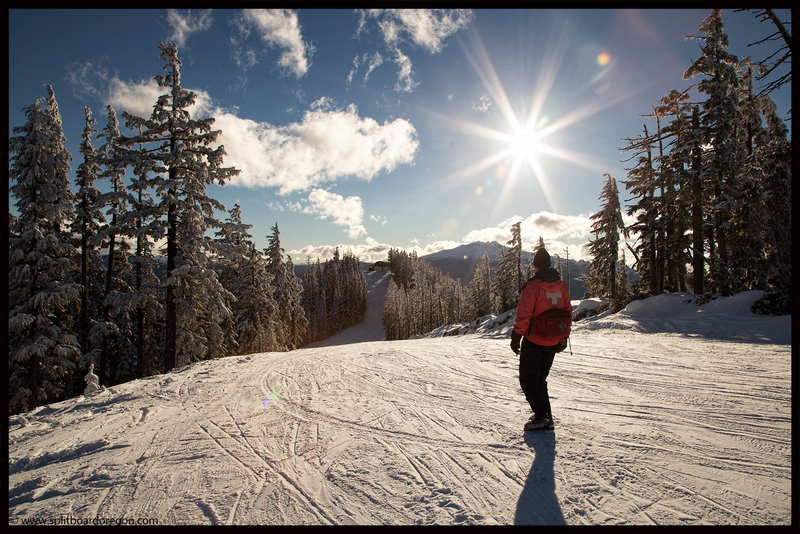 The coverage was decent, and I even made a few laps in the trees of Northern Exposure. Still, with the depth somewhere around 24 inches on the north facing runs, caution was advised in the trees and elsewhere to avoid hidden obstacles and the numerous little trees which normally are covered under an average winter snow pack. By 11:00 am, I met up with Raleigh and Joe to help facilitate some sled training for a few new patrollers. 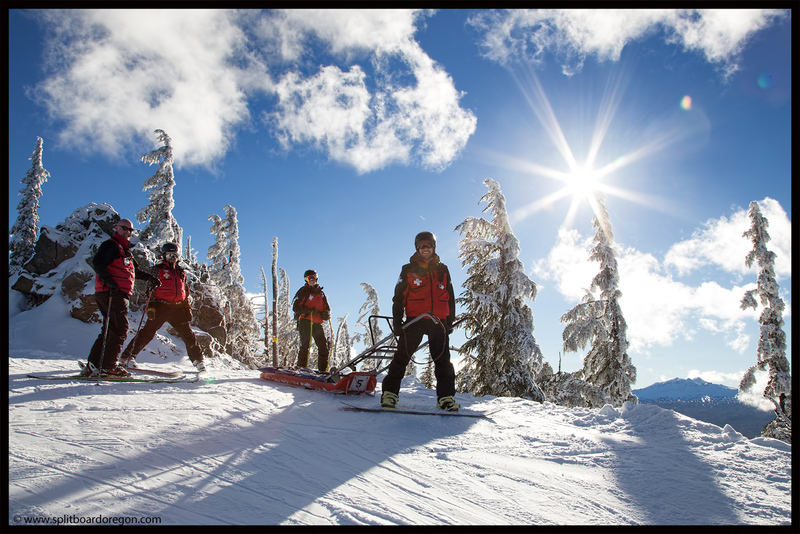 This year’s crew are pretty good skiers and riders, and in short time we went from running unloaded sleds down Boundary Pass to working on running loaded sleds on Where’s Waldo. The below pics were taken in the afternoon at the top of Waldo…. In between coaching the sled candidates on the finer points of tail roping, weight distribution, being in the handles, etc., Joe and I found time to get a few good turns in…. I spent most of the day riding switch, and am really digging my new resort board – a Jamie Lynn Phoenix Series 160cm Lib Tech. At 3:00, we concluded sled training for the day, and I made a few more runs on the back before sweep. Hanging out with Dan at the top of Peak 2, it almost felt like a normal winter. Our last run of the day was, of course, KP – the only option for getting back to the front. Since this was my first Saturday patrol of the season, it also meant chips, dip and beer after our evening meeting. Thanks to Raleigh for supplying the beer and to Craig for having a birthday – the Black Butte Porter hit the spot after a day on the mountain. Prior to leaving, I noticed the evening light on the front side would make for a nice picture, so I grabbed my camera and snapped a few shots. The below shot really gives a feeling for the lack of mid-winter snowpack this year on the south facing slopes…..
All in all, it was a good day on the hill, and I’m hoping for several more before the season comes to a close. The long range forecast is calling for snow, and I really hope it starts to dump soon – we need it!